Melt the margarine in a small sauté pan over medium heat. Add the tomatoes and mushrooms, and sauté until soft, about 4 minutes. Put some tomato-mushroom mixture on each piece of toast. Heat in the oven for 2 minutes before serving. 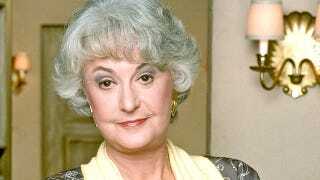 And that, my friends, was Bea Arthur's preferred way to start her day, every day.